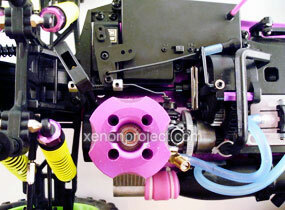 Nitro powered RC’s offer an incredible amount of speed and performance in a compact package. These engines require precision machining and must fit perfectly for optimal operation. After a day of hard riding, it can be tempting to put away your nitro vehicle without any maintenance, but this can result in corrosion and gunk build-up that can break down critical components in your engine. However, by taking a couple of minutes to perform these simple maintenance tasks, you can keep your nitro engine in peak condition. Explanation: Nitro fuel is made up a variety of chemicals, including methanol, which acts as a hydroscopic (attracts moisture) agent that draws moisture from the surrounding air. After a hard day of running your RC, it is important to clear both the fuel tank and engine of any excess fuel, as any residual fuel can condensate and cause internal components to rust and corrode. Furthermore, leftover nitro fuel can go bad. Step 1: First remove any excess fuel located in the fuel tank. You can skip this step if you ran your engine until the fuel tank was dry or if the engine was starved out. Otherwise, insert the glow plug starter and fire up the engine. Once on, let the engine idle (it will run for a few seconds, idle up then stall) until any remaining fuel in the carburetor and fuel line has been burned off. Explanation: After a day at the track, it is normal for the exhaust pipe to leak nitro fuel, but it doesn't mean this fuel has to leak over the upholstery. Step 1: Cover the exhaust. Simply cover the exhaust port with an wad of paper, earplug etc preventing any fuel from leaking. 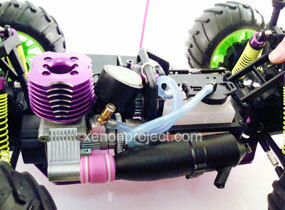 Explanation: Regular use of your nitro RC, especially while off-road, will take a toll on your engine’s air filter. This filter serves to prevent dirt and other debris from getting inside and harming the performance of your nitro engine. It is recommended that the filter be cleaned out after every hour of runtime. Even if the air filter appears to be clean, the dust that is being filtered out can sometimes be too fine to see so it’s always best to clean the filter on a regular basis. 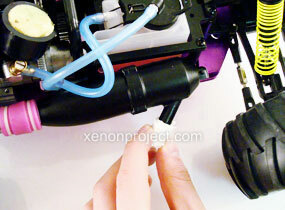 Having removed the filter from the carburetor inlet, take apart the filter pieces and pull out the foam. Step 3. Wash the filter. Using your hands, carefully scrub and rinse off every piece of the filter assembly. 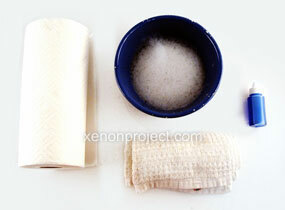 Thoroughly wash all filter pieces with soapy water. Be sure to rinse each part under running water. Rinse and dry each air filter part. Carefully dry each individual piece. Using a can of compressed air will speed up this process. 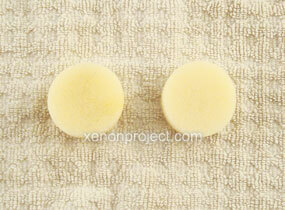 Soak the foam element by saturating the foam with filter oil. Apply about 30 drops of oil evenly to the top, bottom, and sides of the filter element. Squeeze the filter in order to spread the oil around within the foam. The foam should be evenly coated by the oil. Now it’s time to reassemble the filter. Step 6. Assemble the air filter and replace. 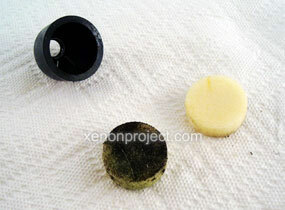 Reassemble the filter by placing the foam insert back into the filter tubing. 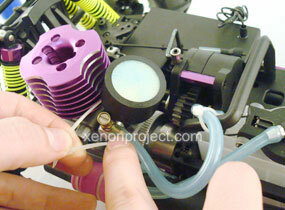 Now, using a small zip-tie, reattach the air filter assembly onto the carburetor. 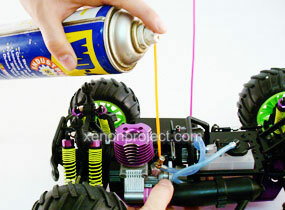 Explanation: It is important to add after-burn oil to the RC vehicle after every use. Doing so will provide two key benefits. First, after-burn oil can prevent the effects of engine corrosion due to moisture buildup inside the engine. Secondly, this lubrication process can often enhances the starting ability of a vehicle by providing a better piston-cylinder seal. 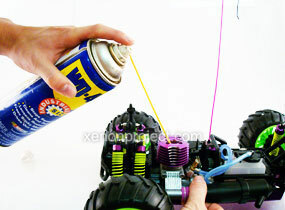 Just a quick spray of after-burn oil can significantly extend the life or your engine. If you don’t have any after-burn oil lying around, WD-40 can be used instead and works just as well. Step 1: Remove the glow plug, washer, and air filter. Proceed by removing the glow plug with a glow plug wrench. After it has been removed, make sure to remove the washer that comes along with the glow plug. If it does not come off, you can use pliers to remove it. It is very important that you save this washer. Without it, the glow plug will not be properly set in the cylinder head and can result in serious damage to the glow plug engine. 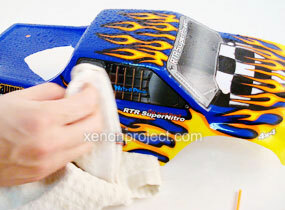 Step 2: Add the after-burn oil to your Nitro RC. 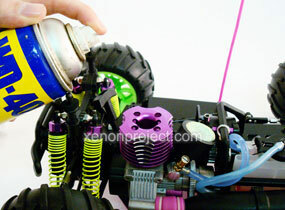 Open the throttle and quickly spray a one-second burst of after-burn oil into the carburetor and the glow plug hole. Jerk the pull start, using a couple of quick short pulls, to circulate the lubricant throughout the engine’s components. Step 3: Reinstall the glow plug and air filter. Replace the glow plug washer and install the glow plug back into the cylinder head. Explanation: Screws can become loose over time. A couple of high-speed bashing runs can cause nuts, bolts, and screws to become loosened over time. Step 1. Re-tighten loose screws. When tightening screws into plastic, make sure they fit snugly, but be sure not to over tighten them, as doing so may strip the plastic. When screwing into metal, it is recommended that you coat screws with a thread locking compound, such as "Loctite." Step 2. Check the spur gear mesh. Engine screws are especially important, because vibrations from the engine can cause these screws to loosen, allowing the engine to pull away from the clutch bell housing. This distance can distort the proper gear mesh, and cause significant damage to the spur gear by stripping the teeth from the gear. Explanation: It's a good idea to keep your nitro vehicle clean, as this prevents the collection of gunk and dirt from damaging critical components. Fuel residue will get stickier and mud will dry, making it increasingly difficult to remove as time goes on. 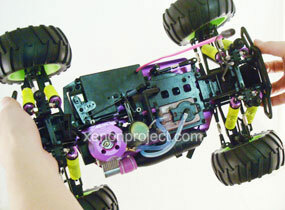 As an added bonus, it will give you an opportunity to inspect the vehicle for any damaged or broken components. Step 1. Clean the carburetor and engine case (as needed). Using the spray bottle, spray denatured alcohol on the carburetor and engine case. 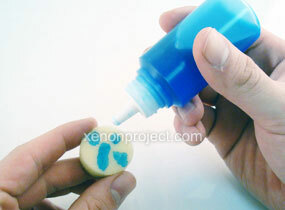 Using a a small brush (a toothbrush works just fine), scrub off any dirt or grime. Once finished, dry the engine with compressed air and a clean rag. Finish the job by spraying the car with WD-40. This will displace water, and at the same time, prevent dirt from sticking in the future. Step 2. Wipe down the body (as needed). Step 3. Perform a visual inspection. 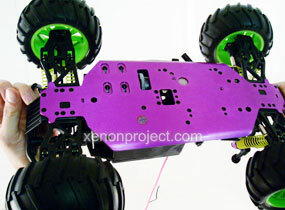 It is important to look over the RC vehicle to ensure that no physical damage has been incurred. Physical damage includes, but is not limited to, things such as broken parts, cracks and tire damage. It is important to perform a thorough inspection of your vehicle in order to spot any damage since early detection is the key to preventing further damage. If you follow these simple steps, you can keep your nitro vehicle running in tip top condition. The short time you spend on maintenance will eventually translate into a longer life for your RC and many more hours of run time for yourself.